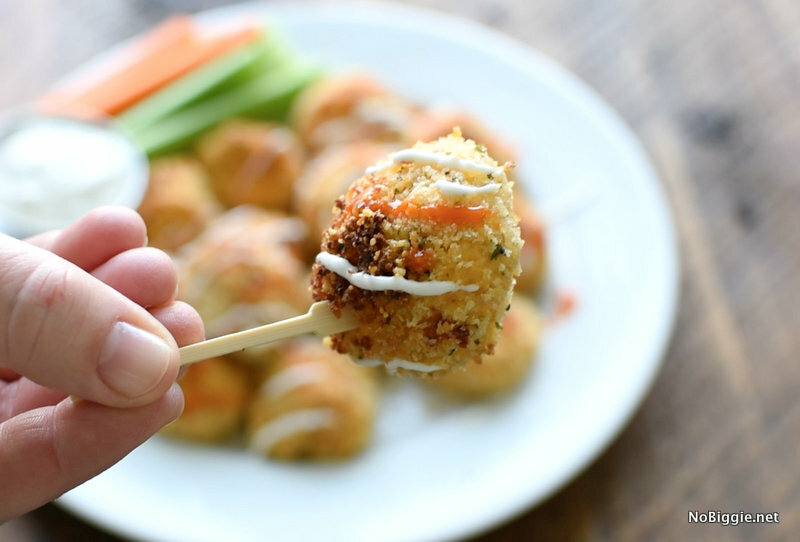 With all the big game days ahead, these little buffalo chicken bites are sure to please the crowd. One of my favorite short cuts – the Rotisserie chicken… along with your stand mixer really help to make shredding the chicken a snap. 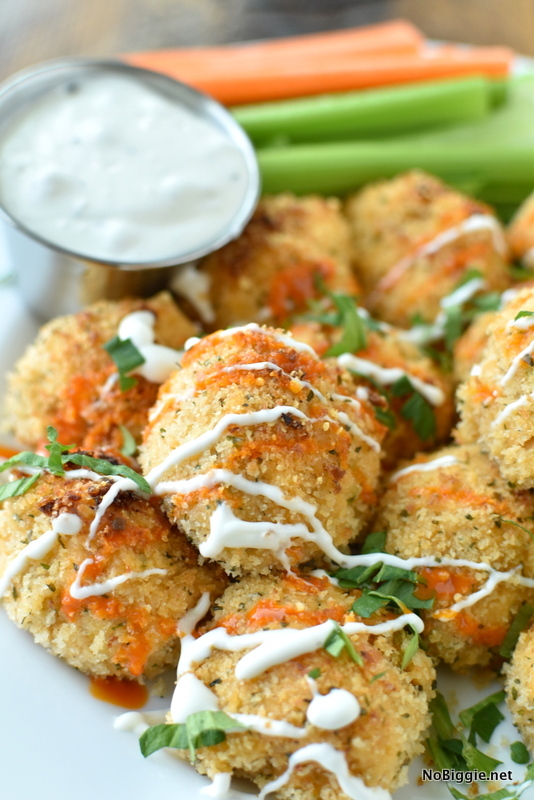 If you’re crazy for spicy buffalo chicken flavor, you will love these! 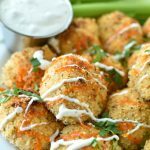 If you’re looking for more buffalo chicken recipes, don’t miss this BIG list of 25+ buffalo chicken recipes. Three cheers for buffalo chicken everything! We made a quick video so you can see how easy they are to make. Don’t they look easy to make?! I bet you could make a bunch a head of time and freeze them for when you need them. Because the chicken is cooked, you’d just need to warm them through. Have you ever tried shredding chicken with a stand mixer? It’s a game changer! If you need finely shredded chicken for a recipe, it’s the best. Using a stand mixer for shredding and mixing all the ingredients together for this recipe is a great short cut. Seems like I’m only using my mixer for sweet recipes, so it’s fun to put it to work on a savory recipe too. In a stand mixer with the whisk attachment, finely shred the cooked chicken breasts. Add in the buffalo sauce, cream cheese, cheddar cheese, finely diced green onion, salt and pepper. Continue to mix all these ingredients together until well combined. In a glass bowl whisk together the Panko breadcrumbs, parmesan cheese and dried parsley flakes. With a mid sized ice cream scoop, scoop out the buffalo chicken mixture into a meatball size and place in the panko parmesan mixture. Toss well until the chicken bite is completely covered. Place all buffalo chicken bites onto a parchment lined sheet pan. Spray all with cooking oil spray. Switch your oven to broil and broil them for a few minutes watching closely as to not let them get burned. 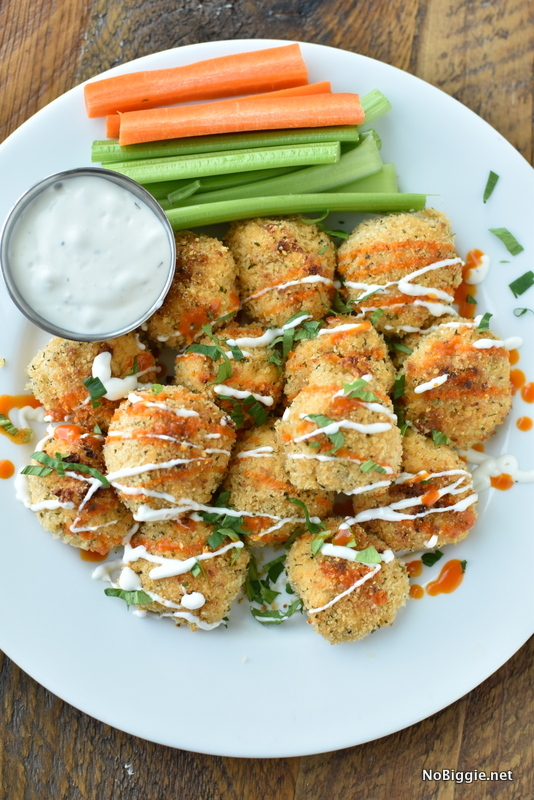 Serve with a drizzle of buffalo sauce and blue cheese dressing. To dip the bites, we’re just using Ken’s Steak House Blue Cheese dressing (because it’s the best). If you have the time and you’re feeling adventurous, you’ll have to try this old fashioned Roquefort Dressing. It’s also a favorite at our house. Because the chicken is already cooked, these little bites don’t need much time in the oven. In fact if you’d rather broil them to get more of that golden bread crust finish, you can do a little of both baking…with a couple minutes under the broiler. That’s it! What’s your go to Game Day Eats? I love hearing your favorites.